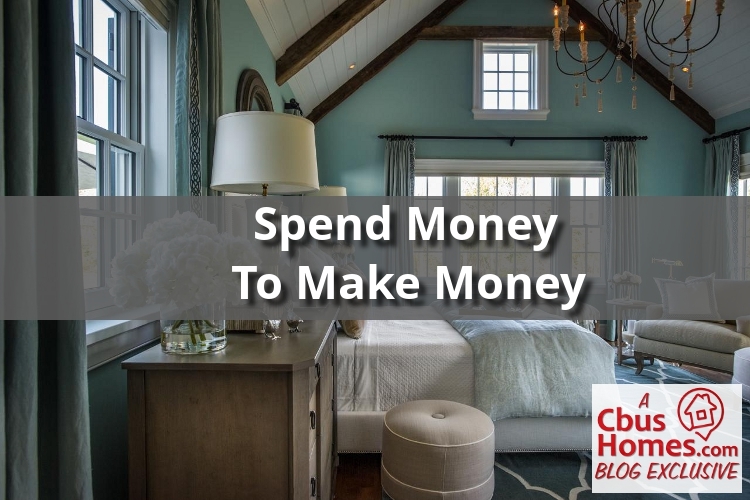 For whatever reason, this is one of the hardest concepts for a home seller to understand… If you want to sell your house and make money, you need to spend some money. Wait… To make money, I need to spend money? Basically, yes. In a simplified way, yes, that’s it. As someone who is getting ready to sell their home, or maybe your home is already for sale but has no offers on it yet, you may believe your home is in either fantastic condition, horrible condition, or usually somewhere in between. But take it just a step further… are you being real with yourself about the condition of your home? In my experience, it’s really rare for a house to be in excellent condition. In my experience though, most sellers believe their house is better than all the rest. If you’re really being honest with yourself, rate your house on a scale from 1 to 10, with 1 being where your house needs major rehabbing and 10 is an A+ move-in-ready home that has every feature. ………. Have you rated your house? Really, do it. Now, subtract 2 points. More than likely, that’s the real score for your home. That’s what an unbiased outsider would likely rate it. Hmmm… what unbiased outsiders would ever be rating your house though? Oh, that’s right… home buyers! Now that you’ve started to think about seeing your house like an unbiased home buyer, really get into character. Summon your inner Leonardo DiCaprio and immerse yourself into your role of being a judgmental home buyer. Grab a notepad and a pen, or an app on your phone, and get ready to make some notes. Ready, Leo? I suggest this to clients all the time. Head outside to the front curb. Turn around. Look at your house. Make notes of the imperfections. Does your mailbox need painted? Does your driveway have any cracks that need sealed? Any bushes need trimmed? Any cobwebs need cleaned up? Powerwash the front exterior? Is your welcome mat new? And is it welcoming, or is it cheap? As you enter the house, is the entry inviting? Do you have a rug there? Is it in good condition? Is the entryway clutter-free? Do you need to clean out your coat closet? I mean, people will definitely look in there. Look around? Does the paint need touched up anywhere? Does the carpet need cleaned? Replaced? Is the kitchen updated? Or is it 15 years old? Even if you think it looks okay, make notes of ALL of the things that you would change if you wanted your house to feel brand spanking new and as clean as a new-build. Do this for every room in your house. By the end, you should be fighting off writer’s cramps, and you should start to get a little frustrated that your house does have this many imperfections. You may have 10 things on that list. You may have 100 things on the list. And chances are, it will be closer to 100 than it is to 10. Some things will be small and inexpensive, like needing to de-clutter certain rooms or the kitchen counter. Some will be a bit larger, with an added cost, such as needing a new welcome mat or maybe some new decorative pieces or maybe adding new cabinet knobs in the kitchen or bathrooms. And then you’ll have the big items, where the cost is big: new appliances, new countertops, updating the kitchen or baths, new carpet, finishing the basement, etc. But once your full list is complete, get real with yourself again and think, “how much am I willing to spend in order to help my home sell?” This is where I’d STRONGLY recommend bringing in a trusted Realtor. Or at least email or text someone to get their opinion. As a Realtor, we can tell you what sort of return on your investment you can expect. Update your appliances in your kitchen. Stainless steel is still most popular, but black or even black stainless would be good options. White is associated with dirty many times. New countertops? If it’s in the budget, you can immediately update your kitchen with granite, quartz or corian countertops. Natural stone is popular. Concrete countertops, unless done by a high-quality professional, should be avoided. New cabinets? Again, if it’s in the budget, go for it. But this will be pricey. Maybe there’s a way to make it look like you have new cabinets, with spending all that money? New cabinet doors or paint or new knobs go a long way in helping to change the look. Need new flooring? Is your carpet worn out and dirty? Is there tile in the bathrooms? Or hardwood in the kitchen? Look into the costs. It will definitely help your home stand out from the rest. 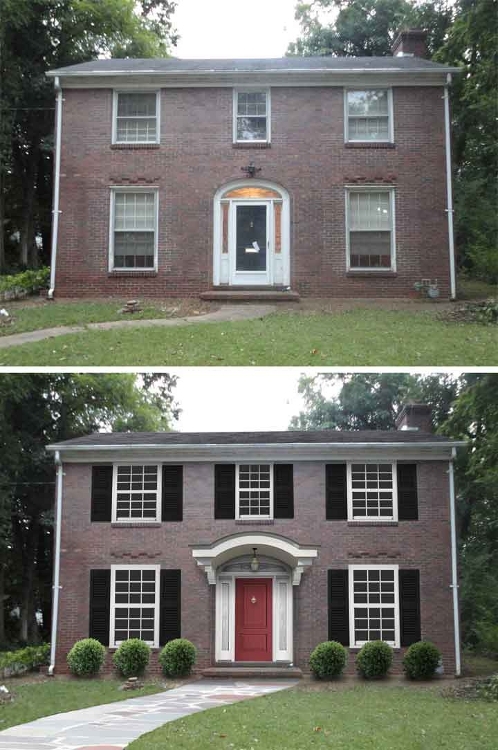 Paint the trim in your house, if it’s already painted. If you have white trimwork in your home, go get some matching paint, and just slap a new coat on. Trim is usually only a few inches wide (or tall, depending on how you look at it) so the task of painting trim goes much more quickly than you could believe. And it immediately makes it look better and cleaner. De-clutter all the rooms. This includes living room, dining room, kitchen, bedrooms, kitchen, bathrooms, etc… everything needs de-cluttered. Unless you think, “oh yeah, I could see that in a Pottery Barn magazine,” you probably don’t need it and can put it in storage. Speaking of storage, is your basement de-cluttered? Show potential buyers how much storage space there is. Speaking of basements, is yours finished? 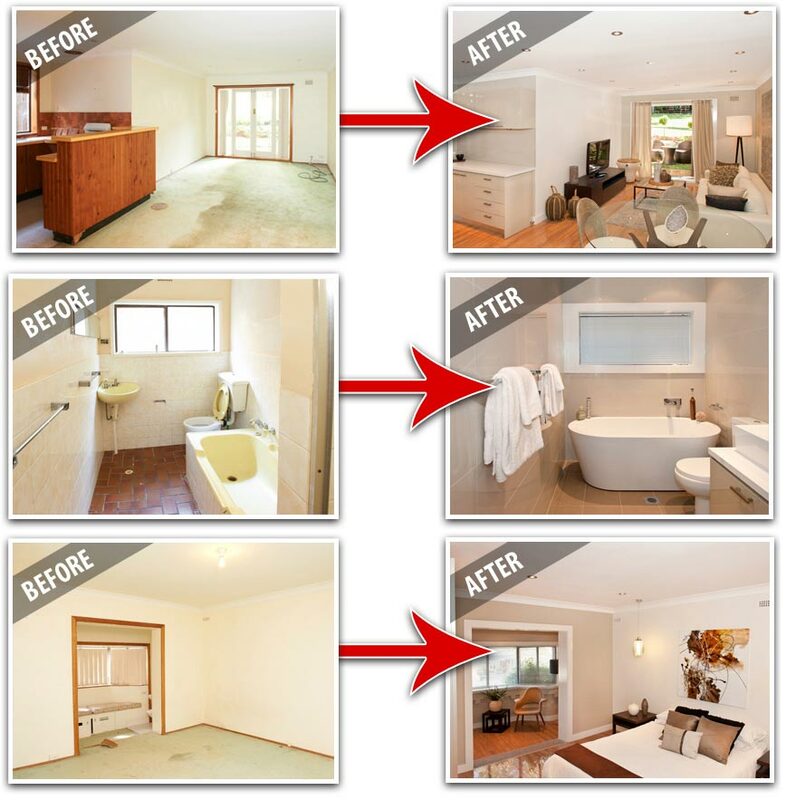 Many times a finished basement is the key deciding factor for a buyer choosing one home over another. If it’s in the budget, you might want to do it IF it will be a good return on your investment. Clean all your bathrooms and showers like the President is visiting. Make those rooms sparkle. Remove worn out, moldy caulk, and replace with fresh, white or almond-colored caulk as apporpriate. New, stylish and neutral shower curtains help when needed. Clean, clean, clean… the whole house. Hire a cleaning crew if needed. Just get it cleaner than it has ever been. Okay, so, all of this… should help you get started. Haha. Selling a home is a lot of work. But in the end, it can be worth it. And it can help you make extra money as well as sell faster. So, like I said, get some advice from a professional (usually from a Realtor or a designer) and plan to make a few changes and improvements to your house. You don’t have to break the bank.